If your looking for something to keep the kids entertained this Easter, look no further. We've compiled the ultimate guide just for you. So get cracking. Locko Rd, Derby DE21 7AR, Saturday, April 13 - Monday, April 22, 2019. 'Follow Alice down the giant rabbit hole into Wonderland for an Easter Egg Hunt like no other. Castle St, Bolsover, Chesterfield S44 6PR, Derbyshire. Saturday, April 6 - Sunday, April 28, 2019. Join the hunt for dragon eggs on a legendary quest, through the gardens and around the Little Castle. Wirksworth Station, Coldwell Street, Wirksworth DE4 4FB Friday, April 19 - Monday, April 22, 2019. 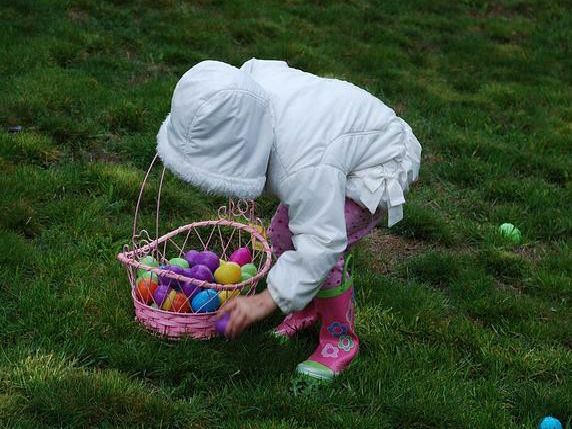 Popular Easter Egg Hunt around the station, as well as a Party Workshops Family Circus. Doe Lea, Chesterfield S44 5QJ, Derbyshire. Friday, April 19 - Monday, April 22, 2019. Spend the holidays taking part in family activities, the Cadbury Easter Egg Hunt, a chance to see the We are Bess exhibition, walks, wildlife and plenty of fresh air..